New York's Mets starter Noah Syndergaard on the opening day is out with a tense forefinger on the pitching hand for the 10-day list of the disabled. The Mets announced that Syndergaard was being investigated on Tuesday in New York right forefinger. The move to the DL is retroactive to the 26th of May. 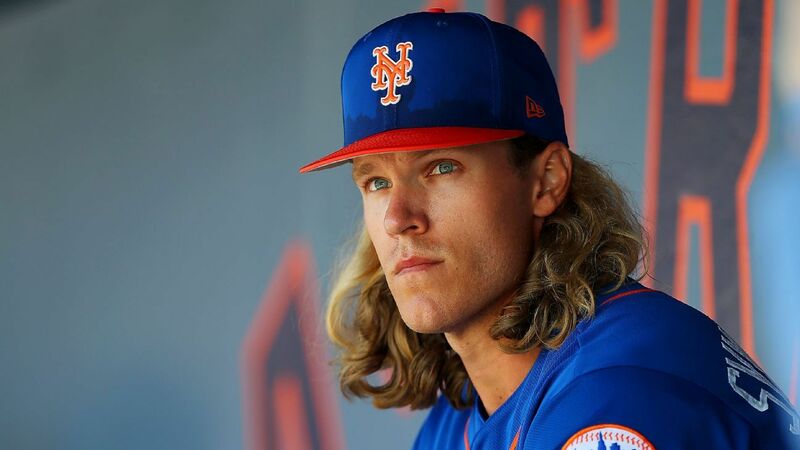 "He threw a page yesterday and that was when he [Syndergaard] began to notice it hurt [it]," said manager Mickey Callaway. "He had bruises on the bottom of his wrist, so we just said he had to get it checked." Callaway later added that Syndergaard had "a little" pain after his last start and that the pitcher would do so by wearing a splint on his finger to keep him immobilized. But Callaway did not seem to believe that Syndergaard would miss much time. "Right now, the goal is to rest it a few days and give it a bullpen this weekend," Callaway said. "After that, he should be all good." The DL stint for Syndergaard is the last bad news for the injured Mets, who are already without thug Yoenis Cespedes, third baseman Todd Frazier, midfielder Juan Lagares, starters Travis d'Arnaud, Infielder Wilmer Flores and relievers. AJ Ramos and Anthony Swarzak. 1; and after only three innings in his last appearance on Saturday. Seth Lugo will start on Thursday. Right-hander Gerson Bautista, who was called up by Triple-A Las Vegas as an extra player for the double leader, is now with the team. Syndergaard, 25, scored well this season after missing most of 2017 with a Lat injury. He went 4-1 with a 3.06 ERA and 76 strikeouts over 64 2/3 innings in 11 starts. On Tuesday everything seemed to be going smoothly for the Mets at SunTrust Park to New York bringing a 4-0 lead against Atlanta. But then, after Steven Matz started warming up in front of the bottom of the fourth, the training staff was called in to the hill. He was taken out of the game because of discomfort in the middle finger of his left hand. Matz's x-rays were negative and there was not a word about how long Matz would not be on the road after starting on Tuesday. ESPN's Bradford Doolittle and the Associated Press have contributed to this report.